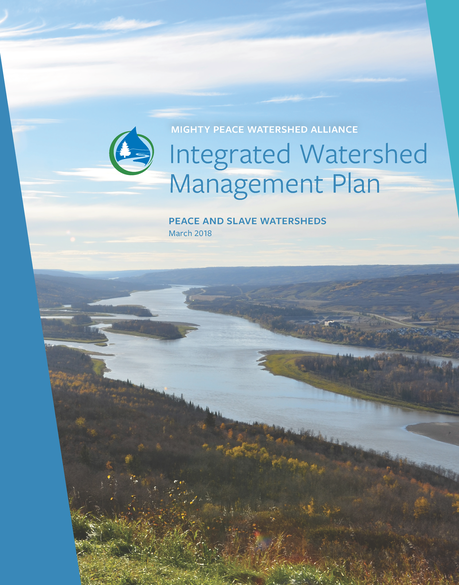 The Mighty Peace Watershed Alliance (MPWA) is the official Watershed Planning and Advisory Council for the Peace/Slave River Basin. It is a multi-sector, not-for-profit society committed to planning for an ecologically healthy watershed while ensuring environmental, economic and social sustainability. 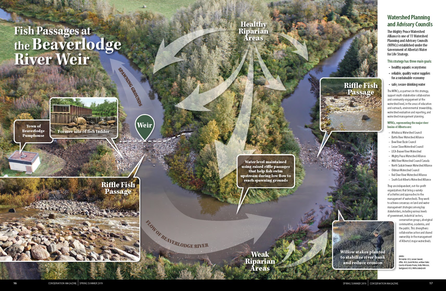 The Alliance includes stakeholders and representatives of communities that use consensus, adaptive management, and innovation to understand and promote living within the watershed. Come see at the open house and provide your input. The Draft plan is available here and there is also a survey if you want to provide input that way. 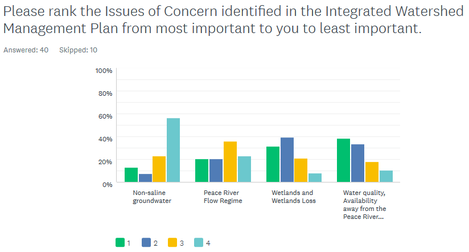 Thanks to everyone who completed our survey about the Integrated Watershed Management Plan. The main Issues of Concern (see graph) continue to be the focus of our ongoing work and it is good to see how people rank these issues. Implementation of the plan is an ongoing effort so look for updates. 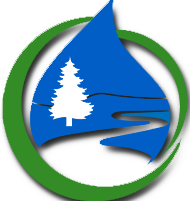 If you have any comments, suggestions or ideas about watershed management please contact us. Thanks everyone for making this event such a success. It was great to learn more about the tools and techniques out there and to have discussions around how to best do remediation and restoration in the watershed. Our Integrated Watershed Management Plan is done! Please take a look at it and see how we can work together to better manage the watershed. Renewals will occur on a regular basis but for now the focus is on implementing the recommendations of the plan. Check out the plan here. 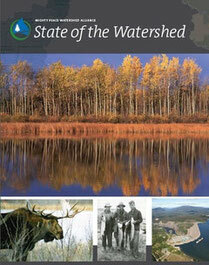 The State of the Watershed is a snapshot of the conditions in the Peace and Slave River Watersheds in Alberta. The Alliance is using the report as a baseline as we assess the effectiveness of actions taken and track changes in the watershed. We hope that you will find the tool educational and useful. Please contact us with any questions or comments.